There is plenty of advice out there for how to get the best sleep every night and it usually includes sticking to a rigid nighttime routine, cutting caffeine, not drinking before sleeping, limiting the use of technology before bedtime, using black out curtains, de-stressing, and keeping a "sleep diary." All of which has never worked for me. I have major issues with getting quality sleep and when I am exceptionally stressed, I go through bouts of sleep paralysis. 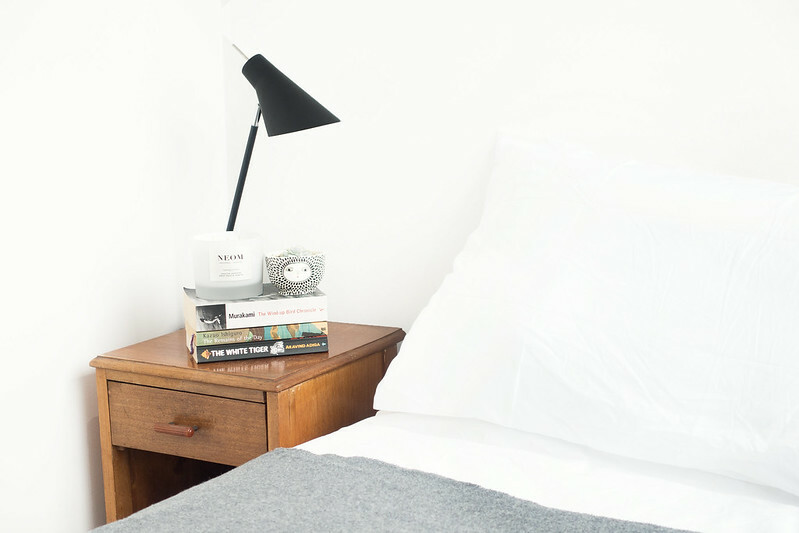 For a while I have been trying different ways to make sleeping more comfortable; John Lewis helped me update my bedroom to make it more suitable for my sleeping habits and I've discovered several ways to make sleep more peaceful. By using a sleep app, you can track your sleeping habits and help identify your sleep-wake cycles. Pairing this information with a Bodyclock (a dawn simulator alarm clock), you can use this technology to wake you gently at the best possible time of your sleep-wake cycle. Identifying the best times to wake up and sticking to them can make your sleeping habits much more pleasant and leave you feeling rested rather than groggy and tense. Making sure you have comfortable and suitable bed linen, duvets, and pillows made the world of difference. A soft-touch duvet that you can sink into with pillows that feel like clouds with a spare blanket thrown over the end of the bed for keeping you warm in the night, can have a dramatic effect on the bedtime routine. Replacing old duvets, pillows, and sheets with brand new ones more appropriate for your sleeping habits can completely change your sleep experience. A little bit of time during the day spent tidying the bedroom can yield dramatic results. Going to sleep in and waking up to a messy room can really effect your mood, spending a few moments each day putting away the clutter, tidying the bedside tables, and prepping the room for relaxing in will create an inviting environment that encourages comfortable sleep. Basic items might include: a glass of water, a book, a candle, and a sleep spray or balm. Utilising the space next to your bed by placing useful items at arm's reach encourages you to stay in bed and not fidget. A calming scent from a candle and sleep balm can help induce sleep and a book to read before bed can have a soothing influence, while a glass of water by the bedside stops you from having to get up in the night. Making use of the nightstand and keeping calming or useful items at hand make a bedtime routine more possible. If you're feeling stressed, worried, or overwhelmed, talking it out with someone during the day, discussing problems, or writing a to-do list can help stop your mind whirring and preventing you from getting a good night's sleep. Preparing for the next day by writing a to-do list the night before or talking to loved ones about worries can ease a troubled mind.